KENRAY have developed a method to refurbish TNA bag closers and strippers in a cost-effective, reliable manner to the original, exacting standards. 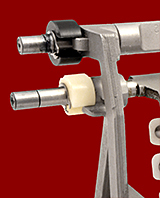 Using sophisticated jigging and production techniques, Kenray are now producing a ‘better than OEM standard of refurbishment’ with particular attention to the accuracy of the height and gap. 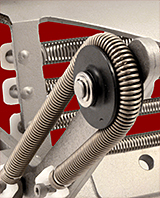 A TNA stripper or bag closer repaired by Kenray will provide the performance of a new bag closer at a fraction of the cost. As part of the refurbishment process, the TNA strippers are taken apart, cleaned and re-assembled. A bespoke engineered fixture is used during the assembly process to allow all components to be accurately aligned and checked, ensuring they will operate as new. New parts replaced during the TNA stripper repair programme includes: bearings, bushes, circlips, springs, and acetal rollers. 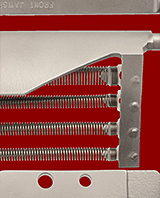 Kenray also replace any missing pins, worn arm stops, or broken pins ensuring the refurbished TNA bag closer and stripper will perform as reliably and effectively as a new item. Refurbished TNA tube closers and strippers are available either as a complete kit, or with all parts fully refurbished ready for you to assemble directly. Kenray develop and deliver innovative, cost-effective engineered solutions to help customers with relevant packaging solutions suited to the machine and the product being packaged in order to optimise output and reduce downtime.